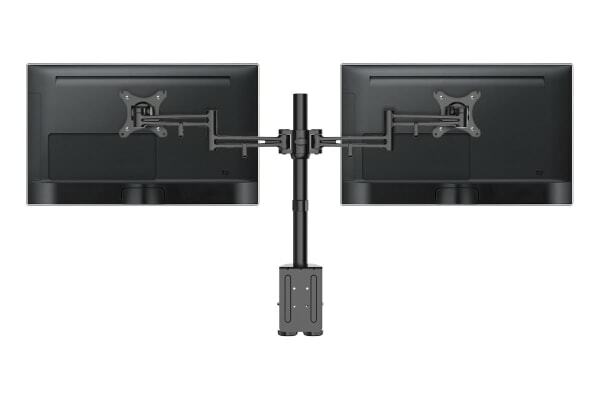 Increase the flexibility with which you view your monitors (raise, tilt, and swivel) while at the same time freeing up a lot of desk space. Regain desk-space – just clamp to your desk. Need more free space on your desk? Get the Kogan Dual Monitor Mount! This clever accessory frees up space on your desk and allows you to spread out documents, write, and do much more. 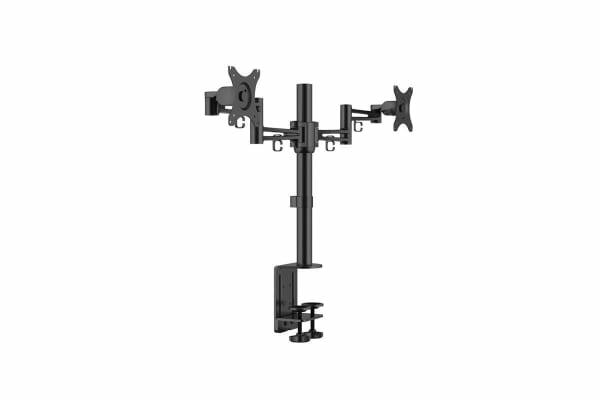 Just clamp this monitor mount to your desk and enjoy smooth adjustments and a secure stationary position. 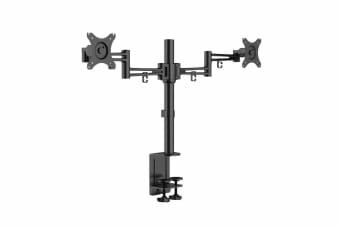 This stylish-looking mount has smooth height, swivel and tilt adjust mechanisms that get two of your monitors to a perfect height and angle with easy adjustments. Plus you can manage your cables in a neat and tidy manner with the clip-on loops and a cable cover that tucks them in discreetly minimizing any risk from tangled wires.